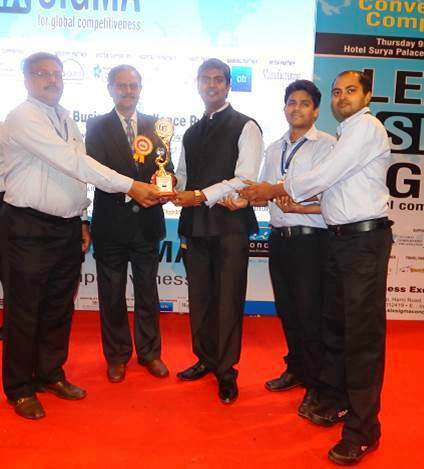 Akshaya Patra, Gujarat won the Platinum award in the first category at the 3rd Annual Convention and Competition of Lean Six Sigma. The event attended by about 500 people from India and abroad was hosted on 9th October by Concept Business Excellence Pvt. Ltd, Vadodara. About 40 case studies by leading manufacturing companies were put forward in the session on Lean Six Sigma tools, from which Akshaya Patra was the first and only NGO to participate in the session. The Foundation received a standing ovation from the competition's esteemed judges and audience for their case study. Along with Akshaya Patra, there were two other Platinum award winners in the first category. The other award categories were Diamond and Gold awards. The theme for this year's event was 'Lean Six Sigma for Global Competitiveness'. Global Competitiveness here refers to India's best performance across economic, social and environmental conditions. It encourages data driven policy based on evidences, identification of good practices, and improvement in statistical standards, amongst others. In line with this a Lean Six Sigma approach enables organisations to produce a product/service better by eliminating redundancy, decreasing output time, reducing wastage and developing a zero defect product. This annual convention provided a platform for a wide cross section of industrialists from varying leading companies to discuss real life case studies on how Lean and Six Sigma practices will help streamline and enhance a company's results. It is an honour for Akshaya Patra to be a part of this programme and receive this illustrious award.